With a voice that can be likened to that of Sam Smith and Troye Sivan, Australian singer/songwriter Benji Lewis is cultivating an impressively unique sound & style, as he creates these lush landscapes of warm & dreamy, chilled & atmospheric, electro-pop sounds. In February 2017 Benji released his breakthrough single ‘Drift’ which was co-written & produced by his management roster buddy Golden Vessel. This track set the scene for Benji’s emotionally driven seven-track sophomore ep, ‘Home For Now’, which has collected over 20 million streams worldwide, and has taken Benji to more places than he could have imagined. Benji took a quick trip to Los Angeles in late 2017 to visit his sister, and while there he set up a writing session with local songstress TRACE and her producer Mike Derenzo (of EXES). 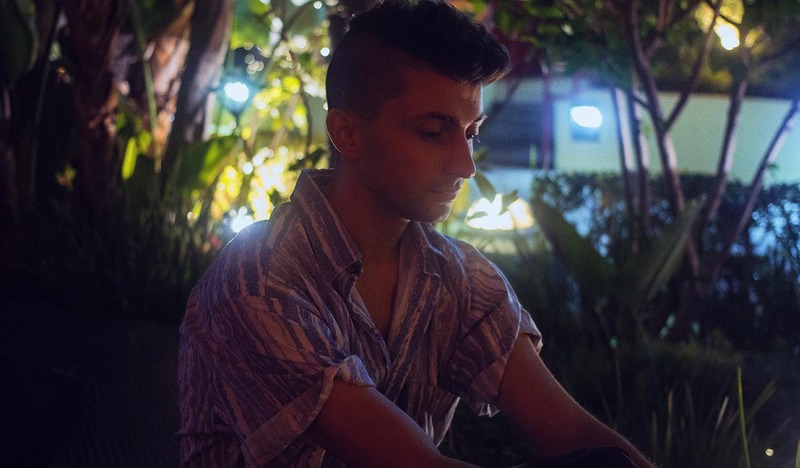 This session resulted in Benji’s first post-ep single ‘Never Mine’ and once again Benji went far & beyond all expectations with its smooth & emotionally captivating vocals, and its dreamy, intoxicating production. In early 2018 Benji revealed his next single ‘DEEP BLUE’, the first taste of his forthcoming third ep ‘Together Apart’, and just in time for his debut appearance at SXSW in Austin (one of the world’s largest music showcases & conferences). He was invited to perform four shows across four days which included a very intimate performance at St. David’s Episcopal Church, awarding him with an experience he will never forget. After finishing up in Austin, Benji relocated to Los Angeles and begun making plans for the release of his third ep ‘Together Apart’. That ep has since received much praise and attention from all around the world and has streaming numbers in the millions. Benji is busy writing new music and collaborating with a variety of artists and producers. Over the coming months we can expect to see a collection of brand-new singles, as well as his next ep in the early months of 2020.